What are the best productivity apps for iOS? Apple’s iconic smartphone still has a big enough market share and that makes it extremely likely that a lot of our readers own an iPhone or iPad. 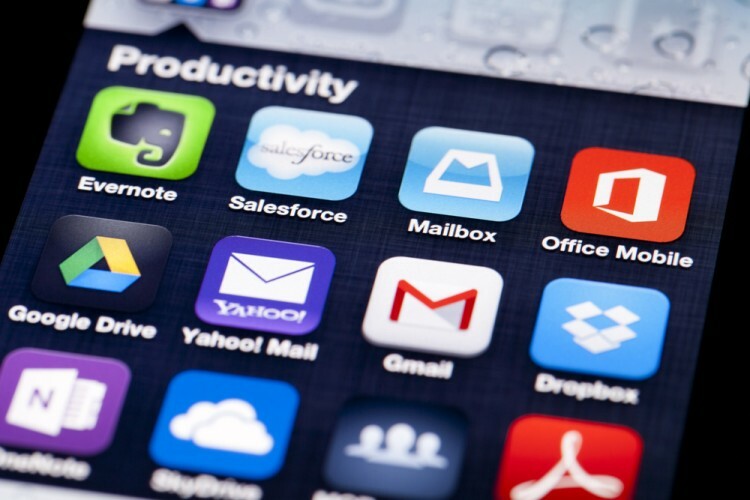 Incidentally, it is also highly likely that a lot of our readers are purpose driven people who need that extra bit of free time in their daily life, making them a great target audience for this list of the 9 best productivity apps for iOS (for the Android flavor, check out the 9 best productivity apps for Android). The apps will be ranked using PC Mag and Lifehacker as sources but you can expect to see a lot of similarities with the Android one because brilliance is cross-platform compatible. The devices that run iOS do not, in any way, stand lower in terms of how much they can boost your productivity in terms of processing power or other capabilities. It could be a bit more expensive to get all you need but if you already own an iDevice that probably does not bother you too much. Just like with any sort of highly specialized apps, the ones here have a bit of an edge in the sense that they can integrate with Macs and MacBooks seamlessly and many of them do. Some even go as far as providing smoothly working solutions for things that the Android app pool is still lacking. Even so, productivity knows no boundaries and even with a set of basic apps you can still boost your workflow’s volume and get more done, thus freeing up time for either more work or more rest, depending on the number of coffees you have in you (even if you can’t remember, there is an app for that but you’ll see more of that later). Nowadays, with the big enough and pleasant to look at iPad screens, you can easily handle a day’s worth of office work as far as documents, spreadsheets and even presentations go. If you own a Mac/MacBook you can even seamlessly get your work on your personal computer via your data connection or WiFi or have it synchronize the moment you’ve put the finishing touches on your work. If you need to manage your tasks for the day or have to distribute work to a group of teammates (because nobody else would make the effort), the device in your pocket can easily take care of that and get it across to them. Many of the solutions on this list are either interface to a web-based services or available across platforms and capable of communicating with ease so anyone with a smartphone that doesn’t grind to a pathetic halt the moment you unlock the screen is good to go. Feeding your dog, fish, pet iguana or your children doesn’t require sticking memos to the fridge or pantry, a light vibration tickling your thigh through your pocket can easily remind you with military-grade precision. Given that you’re the type of person who is willing to take up new habits to increase their productivity and spends a lot of time on a device running iOS, look no further, this list will change the way you live (maybe… slightly).